In the AS and A Level exams, our students have performed splendidly with about 15% of the students achieving A and A*. 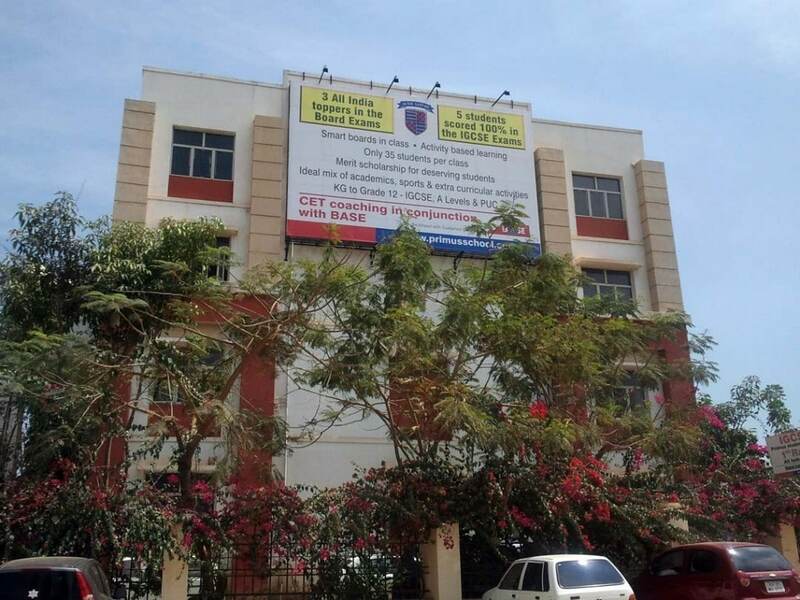 They have gone on to study Engineering, Veterinary Science, Environment, Communication Design, Culinary Arts and Business Finance and Marketing at Universities in London, Germany, USA, Australia, Vellore, Manipal and Bangalore. 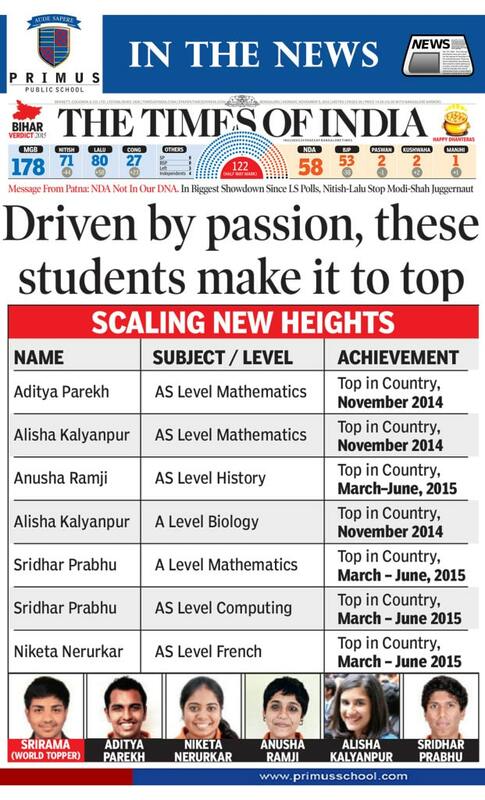 Srirama Prakhya, a Class 10 student of Primus Public School in the city, is the world topper in Chemistry and Physics in the Cambridge International IGCSE examinations held in June 2015. Top in the Country in French and High Achiever in International Mathematics. He has also been declared the Best(First Place) Across Eight Cambridge IGCSEs! The Primus IGCSE students have done themselves proud again! The results of this year’s exams are the best yet!!! This year our students have got 30 A*s and 60 As. More than 75% of all our students got A/A* in Physics. Over all, we had nearly 45% of the students getting merit and distinction certificates.